We heard the gorillas before we saw them. There were rustlings in the underbrush ahead of us, and then suddenly a huge crash to our left. 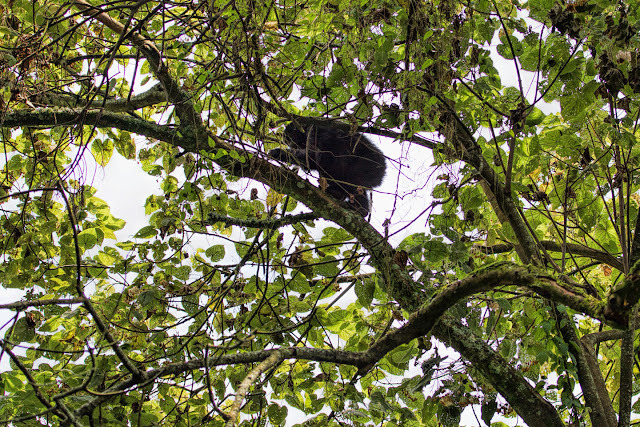 Then one of the guides told us to look up, and there they were, three or four young gorillas up in the trees, climbing, scampering, feeding.